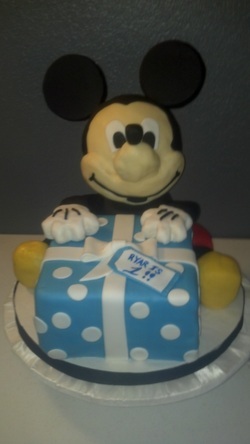 We do our very best to get your cake made to your liking! 3D cakes are very popular and very time consuming. Since they are so unique all our 3D cakes are priced per cake. We have to figure out your design, materials, flavors that will work with the design and time to be spent to create your masterpiece so please remember all this when ordering a custom 3D carved cake. All cakes that need to be shaped count as 3D carved cakes, anything from a painters palette to a fully carved Mickey Mouse needs a consultation to discover all the above info so get in touch with us as soon as you have an idea of what you want and the date it is for. We take bookings on a first available basis.